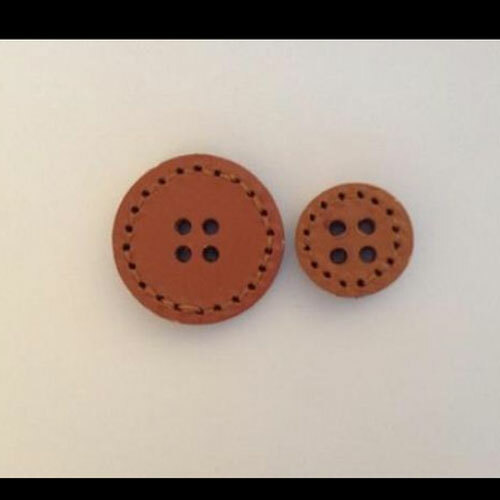 Our extensive range of leather buttons also includes Real Suede Leather Buttons & Toggles. The superior quality leather buttons and leather toggles have fine and smooth surface. These leather buttons and toggles are widely used for embellishing garments, bags, shoes, purses and more. We offer them in various sizes and colors such as brown suede buttons, brown suede toggles, green suede buttons, and toggles.